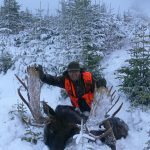 We offer our hunters the possibility to hunt the famous Rocky Mountain elk and white tail deer in an enclosed hunting area of approximately 1.000 hectares in Saskatchewan, one hour driving from Saskatoon. The area is that of typical American prairie and the hunting area is located in a valley with two lakes and birch forests alternating with open areas. The hunt is organized stalking on foot, or by waiting on the slopes. The area counts with elk, white tail deer and bison. Lodging is foreseen in a typical hunting lodge within the hunting area, with 3 rooms, living area and kitchen. 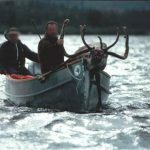 Transfer to/from Saskatoon airport, lodging and full board in the hunting lodge during the stay, all ground transfers during the hunt, services of a professional guide (1×1), first treatment of the trophies, hunting licenses. Air fares to Saskatoon, go medal supplements based on official reserve price list, trophy export documentation, trophy shipment, tips, drinks and personal extras. Observer $ 150 daily.